Quebec Liberal Leader Philippe Couillard launched into another defence of supply management on the campaign trail Thursday, pushing back at opponents of the system who argue abolishing it would result in lower prices for dairy products. 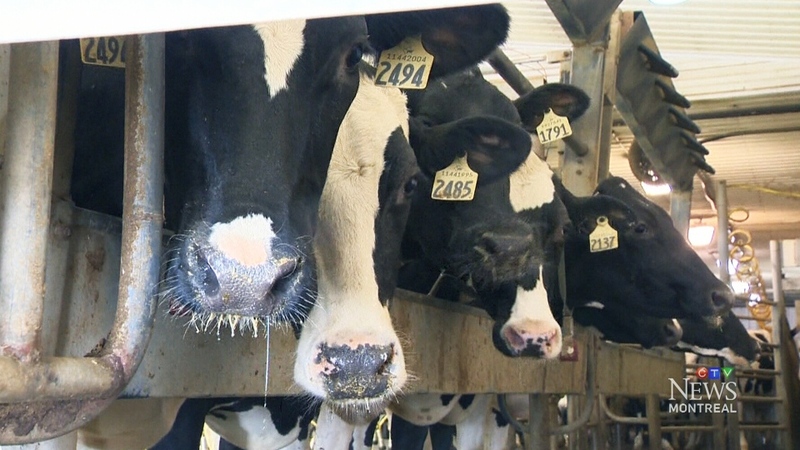 As part of ongoing negotiations in Washington over a new North American Free Trade Agreement, the United States is asking for an end to the system so it can have access to the protected Canadian dairy market for its own oversupply. The U.S. commerce secretary made the link to lower prices during a recent meeting with Couillard. The Liberal leader said citizens have never complained to him about milk being too expensive, adding he believes Quebecers understand there is a give-and-take in creating a fair price for the producer, the processor and the consumer. The Parti Quebecois was also on an agriculture footing Thursday, with Leader Jean-Francois Lisee saying he was concerned by Prime Minister Justin Trudeau's focus on standing firm on the Chapter 19 dispute resolution panels in the NAFTA negotiations. Lisee interpreted Trudeau's comments Wednesday as evidence the prime minister is "flexible" on supply management. "If he's flexible on our interests, Quebecers will be uncompromising in the 2019 federal election," warned Lisee, who was the instigator behind last week's common front of Quebec party leaders in favour of supply management. Meanwhile, a few hundred young farmers marched on Trudeau's riding office in Montreal, calling for supply management to remain largely as it is now. "We don't want any concessions," said David Beauvais, vice-president of an organization that represents young farmers. "Maintain supply management is one thing, but we've already made concessions in previous months and years and we can't allow for any more." The group warned that opening up the market could have catastrophic consequences. 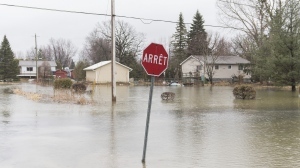 Couillard, meanwhile, said a re-elected Liberal government would move to limit the amount of farmland an investment fund could buy each year to 100 hectares. Also on the Liberal agenda would be an increased tax credit for farmers and a revision of agricultural financial programs to take into account climate woes. The Liberal leader said the measures would help young farmers and family-owned farms. The PQ also proposed to support young farmers by making the funds available to them more generous and by offering longer-term loans to encourage investment. And Lisee's party was pitching a different kind of sovereignty on Thursday -- food sovereignty -- during a farm visit near Montreal. The PQ leader said he wants dishes served in public institutions such as hospitals, schools and daycare centres to contain 50 per cent local products. Elsewhere, the Coalition Avenir Quebec promised to help families with disabled children by increasing a financial aid program by $22 million annually to $54 million per year. -- with files from Melanie Marquis and Patrice Bergeron in Longueuil, Que., and Pierre Saint-Arnaud in Montreal.